Does Studying ‘Ethics’ Improve Engineering Students’ Meta-Moral Cognitive Skills? 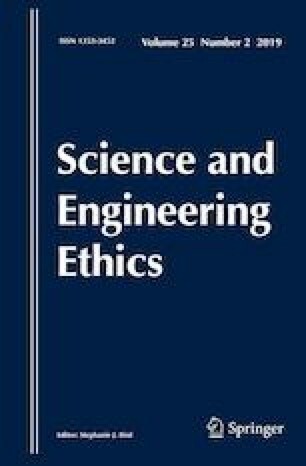 This study examines the assumption that training in professional ethics is a predictor of the meta-moral cognitive ability of engineering students. The main purpose of the study was to check the difference in the meta-moral cognitive abilities between those students who studied a course on professional ethics, as part of the engineering curriculum, and those who did not undertake such a course. Using the survey method, the author conducted a pilot study amongst 243 engineering undergraduates. The meta-moral cognitive awareness inventory developed on the basis of the meta-cognitive awareness inventory prepared by Schraw Gregory and Dennison Rayne Sperling was used to measure the meta-moral cognitive level of the respondents. The results show that there was a substantial difference in the meta-moral cognitive abilities between those students who studied professional ethics, and those who did not. The univariate analysis of variance of the collected data reveals a significant variance (p = .017). The author wishes to acknowledge the contributions of three engineering graduates (Ranajoy Roy, Prakhar Sinha and Hanish Gupta) in helping to collect the data for the study. Zhang, J., Meng, L., & Jing, Q. (2015). ICT supported instructional innovative practice and diffusion mechanism of K-12 in China. In R. Huang et al. (Eds. ), ICT in education in global context, Lecture Notes in Educational Technology. https://doi.org/10.1007/978-3-662-47956-8_2.